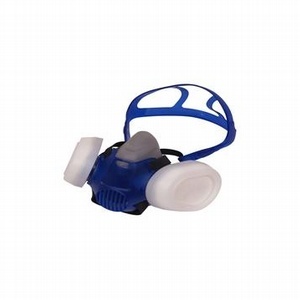 High performance respirator with replaceable P3 twin filter pads. Flexible thermoplastic face-piece for optimum comfort. One-piece head harness with elasticated strap for easy and secure fit. Protects lungs against fine toxic particles. Ideal for use with MDF,hardwoods,fibreglass insulation and most power tools.